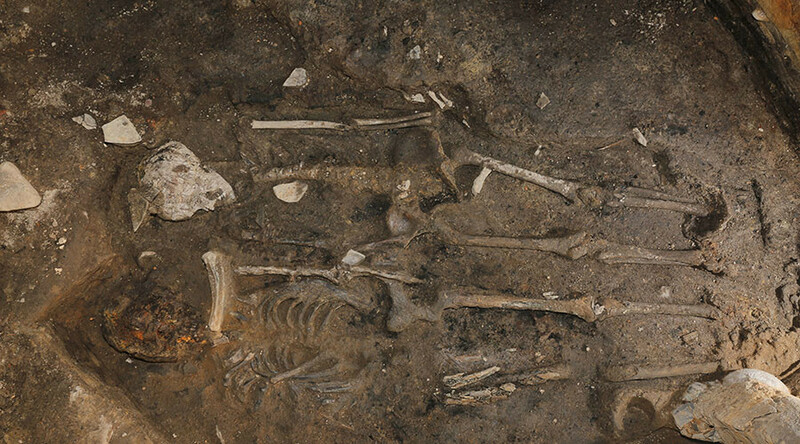 Archeologists digging at a palace once inhabited by Korean monarchs have found historic human remains in the foundations of its walls. It’s thought they were sacrificed to please ancient gods. 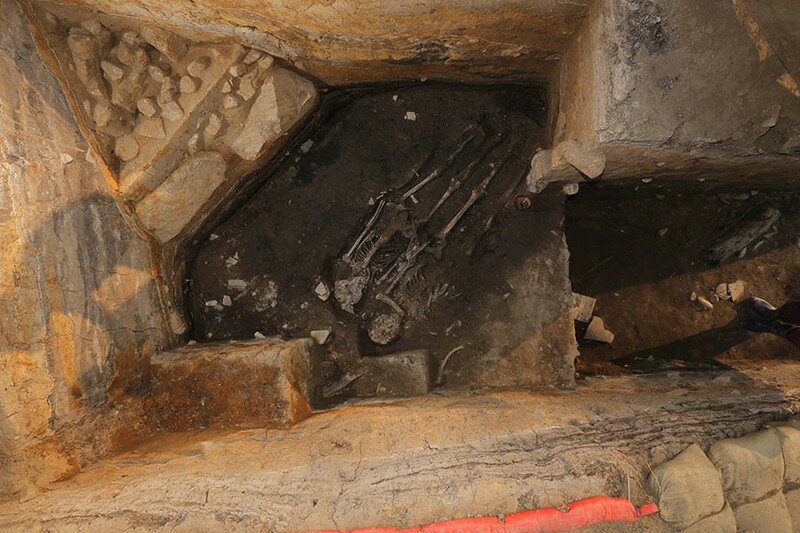 An excavation at Wolseong Palace, Gyeongju, in South Korea uncovered two bodies, the country’s National Research Institute of Cultural Heritage (NRICH) revealed Tuesday. The bones are thought to date back to the Silla Kingdom, an ancient dynasty founded in 57 BC that ruled over Korea until 935 AD. Work along the western walls of Wolseong Palace compound, where the remains were discovered, has been taking place since June 2015. According to the NRICH, Wolseong displays early evidence of wall construction. The discovery may give some credence to the "Inju" legend - a belief that people were buried or sacrificed within buildings to ensure that the gods would protect them. Such sacrifices are already known from ancient civilizations such as Egypt, where slaves were buried with pharaohs to serve them in the afterlife. The practice of human sacrifice remained just a legend in Korea, however. The Gyeongju National Research Institute, which was involved in the find, believe this could be the first evidence of the grisly exercise in Korea. “According to tradition it is said that the pillars [human gifts] appeased the gods and prayed that the structures under construction would keep standing forever,” Gyeongju National Research Institute researcher, Park Yoon Jung, told AFP. However, a professor at Seoul’s Soongsil University, Choi Byung hyun, has said that it may be too early to tell why the people were buried at Wolseong Palace, the Korea Herald reports. Researchers said it was unclear how the two individuals died. The NRICH says it will carry out “thorough” research to determine the lifestyle of the suspected sacrificial victims.